The 2016 Subaru Crosstrek compact SUV builds from the excellent Impreza platform, adding more ground clearance, stronger visual appeal and available EyeSight driver-assistance technology. In the Crosstrek, owners get a mini-Outback that offers good fuel economy and true off-road ability plus a number of cutting-edge technology features, all wrapped in a distinctive package. Good performance on a reliable car. I love my car. 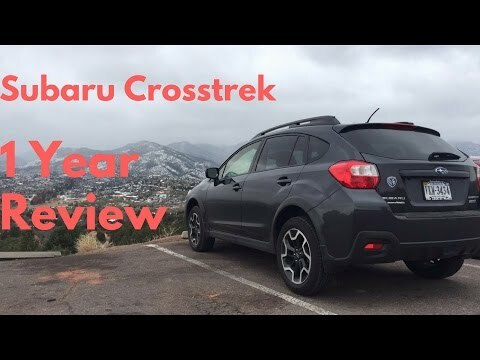 I bought a Subaru due to the reputation and record for reliability, safety, and durability. It has plenty of space in the trunk and back seats, which fold down for extra hatch space. The front seats are heated, which I fell in love with on a rainy day. While the Bluetooth connection can be a little frustrating, the sound system is decent. I get good gas mileage (I average 34. 5ish with traveling to/from work and grocery shopping, etc. ), too, which was one of my deciding factors. The seats may be a little hard for some, but I find it rather comfortable--but then I haven't gone any extended trips (over an hour). I have a standard transmission in mine, and the shift sometimes shifts only halfway, which is a little frustrating, but it is not impossible to deal with. Great features, fun to drive especially on long trips. I love my car! The only issue was that the windshield cracked just weeks after purchase but was replaced immediately by dealer. We take it on long trips to we and NV, camping, mountain biking, to the beach, to Tahoe. We never have issues with the engine. Fun to drive. I love all the special features: rear view imaging, blind side warning lights in side view mirrors, warning sound if you veer off lane, slows down or stops if car ahead of me stops short or accident. . . So many great features. We get a lot of compliments about the style and color of our car.